To ensure the availability of your preferred time, we recommend that you call to schedule your appointment in advance. 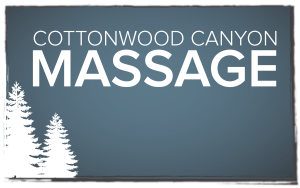 When calling to reserve your appointment, we encourage you to discuss the type of massage you are looking for, any special circumstances, including any preference as to your therapist’s gender. This will help us ensure that you receive the absolute best service and care that we can provide. If you must cancel or change your reservation, please do so at least 12 hours prior to your scheduled appointment to avoid being charged 50% of your treatment value. Failure to cancel a scheduled appointment will result in being charged the full value of your scheduled treatment. Heighten the effectiveness of your session by adding the sensorial healing of aromatherapy or hydrating body butter for an additional $15 per massage. Assist your entire integumentary system and enliven the skin with renewed sense of health, moisture, and alacrity. This is especially beneficial for those experiencing dry, parched, or damaged skin due to intense sun and wind exposure as well as the high altitude and dry climate extremes of the Wasatch range. Choose from medicinal, pure, therapeutic grade essential oils. We highly recommend the Relaxation Blend or the Muscle Therapy Blend.